T wo Court rulings have each confirmed that real estate agents should serve a minimum of 2 years in prison for defrauding both buyers and sellers in at least two property deals. The punishment meted out to these professionals relates to the dishonest -albeit not common- habit of structuring their commission payment, in addition to what % they formally agree on with either party, on the difference between what the buyer pays and what the seller receives…without telling either party what these amounts were. Both buyer and seller were unaware of the real terms of the deal, having the estate agent effectively obtained the consent of both parties on different prices to those reciprocally agreed with either party, causing loss to both. The dual agreements are not a reflection of the real facts, the price for the buyer and the vendor are different and the “agreed commission” is not real, as it was jacked up. The “buyer’s price” was not the lowest he could get away with and the “seller’s price” was not the highest the property could achieve, owing to an artificial and fabricated deal. The Court refutes the defense allegation that the real estate bought and then sold the property, at a profit, on grounds that it is improper conduct for real estate brokers to act in such manner, in addition to concealing the true nature of the deal to its customers. The Court neither accepts that both buyer and seller were satisfied at the time with the terms of the agreed transaction: they probably were as they did not know otherwise, owing to the disinformation and deception devised by the agent. There is an aggravating circumstance in that the real estate agents, operating via an establishment opened to the public, added further credibility to their actions and facilitated the removal of objections by buyer and seller. Similar behaviours as those described are known to have happened in the Costa del Sol but the likelihood of them resurfacing, considering that approximately 95% of all transactions included 2 real estate agents, is mostly residual. For the first time that we are aware of, a Spanish Court has found a complaint to sufficiently allege a breach of fiduciary duty against a bank, Santander, who had opened an account to an unauthorized financial investment company and allowed it to take clients’ deposits for unregulated investments. Needless to say, clients’ money was almost all lost. According to the Madrid Appeal Court, (…) the unauthorized firm acted illicitly by breaching is contractual terms with its clients and more importantly, the Court deemed this firm was (…) offering the public an investment service in blatant violation of mandatory regulatory laws. The directors of the unauthorized have also been found to have acted illicitly –for the above reasons- and as a result, deemed personally responsible for the losses of clients’ savings. 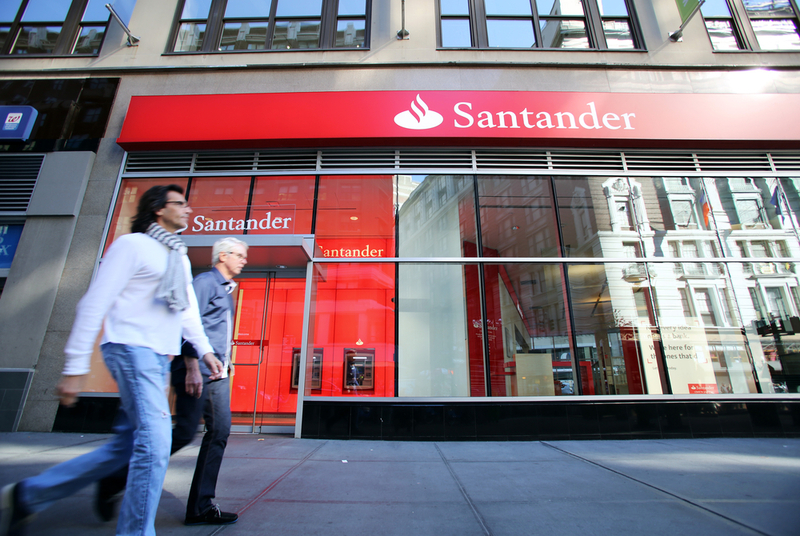 And Santander, more crucially, was found to have (…) acted reprehensibly by allowing the unauthorized firm to operate freely by opening bank accounts, authorizing transfers and permitting other typical banking transactions reserved to authorized firms. Entities will refuse any operation from non-authorized intermediaries, as well as those in which they have knowledge that the relevant legislation applicable to the former may be infringed. Such “knowledge” was decisive in this case for the Court to rule that Santander was in breach of the above obligation and order the bank to indemnify the client for the losses sustained by the boiler room. “continuous follow up of such business connection, inclusive of scrutiny of any dealings conducted throughout the relationship” (art. 6). On this basis, we believe that the above “knowledge” is no longer essential and therefore banks that facilitate any person, company or otherwise to illegally operate in the financial markets could be deemed responsible for the losses sustained by their clients/victims. For the avoidance of doubt, an unauthorized entity (or “fly-by-night operation” as described by Spanish regulators) is any such that offers investment or insurance services and is not approved by the CNMV (Financial Conduct Authority) or the DGS (Insurance Regulator). 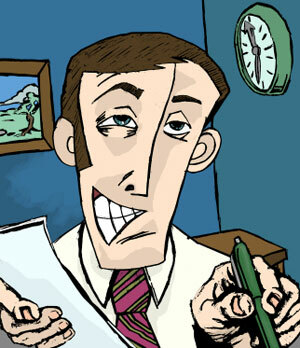 According to report on the matter, banks provide 90% of the investment and financial advice given in Spain. The remaining 10% is left to the different type of authorized investment businesses: financial and investment advisors, broker-dealers, securities dealer companies and brokerage houses. Banks offering investment advice has proven to be disastrous in Spain: hundreds of thousands (literally) have been missold financial products by their own banks that by and large, deliberately dumped billions of own worthless stock on their customers. Conflict of interest does not begin to cover it. Other than banks, any person or company not deemed a regulated investment business (empresa de servicio de inversion), either directly with the Spanish regulator (CNMV) or through the ‘passporting’ system, which gives rights to firms to conduct business into the European Economic Area (EEA) under a single market directive, is not allowed to provide financial advice, let alone take funds from the public. A third category we cannot miss are those who operate illegally, without any authorization. The Spanish CNMV calls them ‘chiringuitos financieros’, a term that is increasingly used officially to best describe how these rogues operate. The activities of these cowboys are dangerous in different intensities: some just provide advice (never innocent though), others take funds from the public and invest them more or less sensibly and then, the most dangerous of all: those who take funds from others, on the pretext of carrying out a sound investment, and either run a Ponzi scheme, sell worthless stocks/bonds or, quite simply, make off with the monies. This type of con artist, often with a previous criminal conviction in a different country, unfortunately finds Spain a ‘fertile ground’ full of trusting retirees sitting on substantial savings. And there is the sun too. Some of these fraudsters have learnt that, if they take money under the promise of returning the capital plus say 20% and they record the transaction as a personal loan, they could get away with it and, at the most, be successfully sued in a civil Court; or maybe not but, in any case, stay away from these defrauding individuals altogether. If you are desperate to lend money to others for a nice return, do it officially via a Spanish Notary and use, if possible, real estate as collateral (just as banks do). Currently, there are only 50 or so regulated Spanish financial and investment advisors (called “EAFI”) and approximately 10 times that figure operating with a EU ‘passport’. 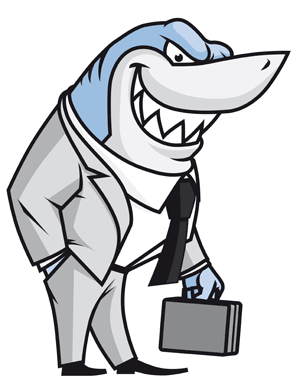 Any person or company offering services not appearing on the CNMV list of authorized investment services businesses is operating illegally. Don’t deal with them, not even a beer. We all know fraudsters never sleep, just like money; in fact when our guard is down the fraudster can be at his most damaging. And this is exactly what is happening as a result of the irresponsible press release issued by the Spanish Government last November, when they propagated the lie that they would be offering residency (automatic) for anyone who bought a property worth €160,000 and above. The above innocent release triggered a desire by tens of thousands of potential buyers eager to move to this part of the world, whether to be able to start a better life away from war zones or potentially conflictive areas, move the family to better education or living conditions and where the choice was for the Coastal areas, get the enviably famous weather. For many too, it was a way to be able travel more effectively without the hindrance of waiting in queues to be dealt by unfriendly Consulate staff for visas and for a few, for reasons of privilege and even social status. And confusion was compounded by ignorant journalists who mistook residency for “citizenship”. So in the wake of all the above, professional conmen saw an opportunity to try to trick desperate families into buying a property and on the back of it, get permanent residency for all the family. One of such companies, Green Planet EU residency, most probably run by former timeshare resale scammers, is offering a package where you pay €220,000 and you get, for the privilege, a property and a residency card. 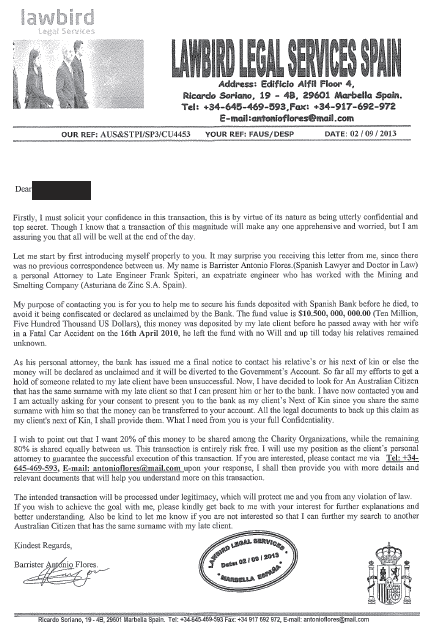 To make things look legit, they resort to the Costa conman manual and pick novice lawyers generally based in Fuengirola to receive the payment (whether the lawyers are aware of the scam or not is unknown to us). Far from it. There is no approved norm, law, act, ruling or otherwise, in Spanish law, that will allow you to get automatic residency by buying a property worth €160,000 and above, for one simple reason: it was never approved. The latest move by the Spanish Government has been to announce that, after much consideration, they will grant residency to families buying a property worth €500,000 and above, as was approved on Friday the 24th of May. But beware, this pre-law has not been published in the official gazette (www.boe.es) so even after this press release, professionals in the sector need to be cautious because as of yet, buying a property over 500,000 (cash-no mortgage) will yet not secure residency, and it is not going to be retrospectively applied! The Steins’ Grand Theft Saga – New Episode: Swindle in Sunny Spain! 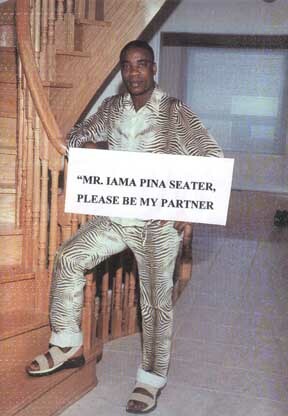 Some weeks back, we received a call from a Marbella-based couple who wanted to meet up to discuss a serious matter. 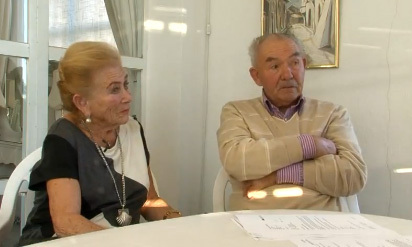 The callers, an expat couple who run a business in an urbanization in Mijas-Costa, had apparently given significant sums of money over a number of years to another British/American couple, who they thought of as being “part of their family”, over various pretexts: to invest securely in approved schemes, instant and desperate need of pocket money, pay off insistent creditors who were described as “loan-sharks”, help a son’s ailing company, the daughter’s maintenance following a bitter divorce, etc… all of it, as it turned out, without the slightest intention of ever returning any of it. On cynically analyzing the content of the conversation, the story appeared to fundamentally have the hallmarks of that of a professionally carried-out swindle job à la Bernie Madoff; we quickly arranged to meet up at our office. Although the material which we were later given was almost enough to construe a case of criminal fraud, the one thing that had gone unnoticed to the potential clients was what would the search engines come up with when typing the following words: “Sanford and Frances Stein”. So, similarly to what had happened to “Nelson the IPhone thief”, these notoriously indecent individuals had their U.S. Criminal Court cases plastered all over the web, but, unlike stupid Nelson –who got the sack— the Machiavellian Boca Raton duo managed to get away with even more cheating. In Spain this time, at least till now. Searches for daughter Lisa, who was mentioned at the beginning of this post, also produce relevant results: she had cheated $24,000 out of an ex-boyfriend called Patrick Martinez using her mum’s most effective scam line: the loan sharks. And she was only a young lady! The son, a man called Paul Adam Stein, runs a legitimate Barcelona-based company called Worldwide Sales Corporation that still seems to be battling with electronics retailer giant BestBuy over the European trademark Best Buy as well as, ironically, the threatening nature of legal letters, pursuant to amusing English laws, sent in respect of a trade mark dispute. Once the above information had been compiled, our firm contacted the parties to enter into an amicable discussion. Unfortunately, we did not have the courtesy of a response on the matter. What we did get was a threat of legal action for the posting of libelous information in respect of the Stein’s, although it was not clear whether the action would be directed against us or, rather more appropriately, Google (or perhaps jointly). Their defense legal strategy is predictably to be repeated: admit nothing, deny everything and make counter-accusations, suing where possible. 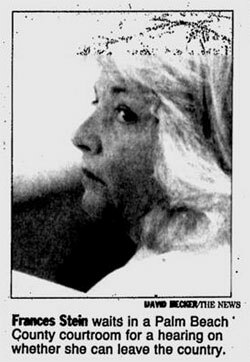 As for Paul, he will most probably sue us on grounds that this is massive conspiracy against him, for he has no relationship with his parents or has any knowledge of what they got up to 20 odd years ago, even if Frances’ temporary absence from home was due to her, known to him or not, doing time in a US penitentiary. And yet, his parents live in a Marbella penthouse owned by a company that he is the sole director of. Finally, this scam story could not be ended without listening to fraud-convicted compulsive-cheater Frances Stein going about telling lies on why a €480,000 transfer –a good chunk of it belonging to our clients— , was being held up in England. Evidently, the transfer never got to Spain because there is no such transfer, as there is no lawyer called David. An 80 year-old rural-based lady who could not write nor read was told it was the ideal product for her, others were advised that it was a secure fixed-deposit they could cash at any time, when the small-print indicated that the deal’s maturity was postponed till… 31/12/3000 and many others were simply duped by excessively commission driven bank staff. Examples of the inventiveness of despicable branch managers, hoping to convince anyone with any decent sum of money entrusted to them, are as abundant as are the numbers of people affected: around 900,000 according to some estimates. It makes me wonder how come savers who bought Spanish banks’ preference shares, or were (mis)sold rather, have not revolted as pretty much everyone stuck with this “toxic refuse” would argue that bank managers doing time in some Siberian gulag would not be harsh enough. I have been getting information about this offer made by Banco Sabadell. As you know, the original CAM was split into to 2, the CAM Savings Bank and the CAM Bank, that was taken over by Sabadell. You purchased “participaciones preferentes”, which form part of the latter and therefore, are taken over by them. Had you had “cuotas participativas”, which are a type of share or bank stock, the value today would be literally zero. Banco Sabadell is now offering that you change your preferential shares for ordinary Banco Sabadell shares, until the 27th of July 2012. One thing seems clear from all of this: it is difficult to predict whether it best to accept the swap or not. Accept the swap: the main advantage with this is that you get rid of a perpetual product, which is exactly the nature of these shares (and which was never told to you when you “bought” them). The main disadvantage is that you can lose a substantial part of your investment if you sell, in fact you will, since you are being offered shares at €2.3 per share when the value is now around €1.5 per share.What you would then need to do is cross fingers and hope that the share value goes up to €2.3 so that it washes its face (at €2, you would be losing in the region of 20%). Below is a chart showing the trend of the bank, clearly downward. Keep the “preferential shares”,which would allow you to keep receiving the annual coupon, as it is called, provided the bank has profits. The bigger problem is that lack of liquidity: if you wish to sell them you need to go to the secondary market, a pretty difficult scenario nowadays. Sue CAM and Sabadell invoking that contracts were sold unlawfully i.e., without a clear, transparent and concrete explanation of the nature of the product and associated risks. This again throws you into the litigation route, which we had managed to avoid till today…but it may mean that your contract is declared null and void. Following a consultation with our legal library elderecho.com, there are currently 63 Court rulings showing when typing the search words “participaciones preferentes”, some as back as 2005 (which indicates that far from being a novelty, defrauded bank users have silently battled along…I cannot give just now the proportion of wins vs. loses but there are of both types). It appears that many people are accepting the swap as the least worst of options, but many others are staying put since there may be a second “offer” for those investors who chose not to swap: the value here is unknown though. It is only a few days ago when we read a story of an ailing 80-year-old diagnosed with Alzheimer and dementia, who had been sold €18,000 worth of… worthless financial products from CAM bank. The gentleman in particular had an officially recognized 80% disability, impaired vision and a history of strokes, and yet, he was persuaded by his branch manager into buying CAM shares for €9,000 and a further €9,000 on deposit, until year…3000! 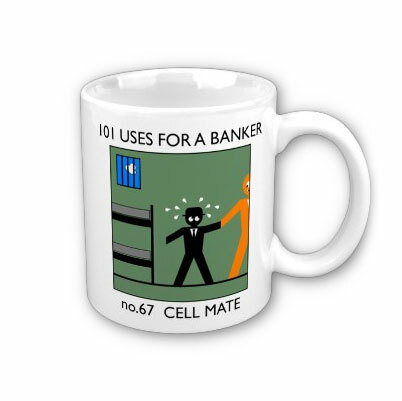 This example of disgraceful behaviour, far from being an isolated case, adds on to a long list of what we could call “bankers´ most despicable actions” (we would completely miss the point if we thought that these are not man-made) and illustrates the utter disrespect and greed of certain individuals working for some banks. So listed below are Top 7 Banks’ questionable at best, despicable at worst practices I have come across both in the exercise of the legal profession, and exemplifies the declining ethical standards within the industry. Bad-advice provided by Deutsche Bank to its customers when advising them that Lehman Brothers and some Icelandic banks, which ultimately went bust, were, nevertheless, the investment of choice. Court number 57 in Madrid is currently dealing with the matter. Awful advice by Santander Bank when offering customers to invest with “world’s biggest conman” Bernie Madoff, despite knowing since 2006 the dangers of investing with him, according to the press. 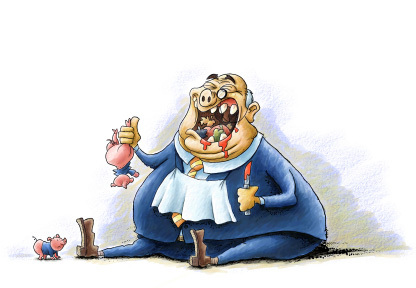 Deceitful advice given to long-standing clients by La Caixa, CAM, BBVA and many other banks to sign up “preferential shares”, when they thought they were depositing their savings on a fixed-deposit. Whereas one would think that younger, dynamic and financial-savvy investors would take on these products, this meeting held by very upset customers seems to suggest otherwise. Abusive use of the extra-judicial foreclosures by some banks. This repossession mechanism is generally (and inadvertently) agreed to by the borrower when signing the mortgage loan deed, is conducted by Notary Publics and can lead the bank keeping a property for €1. An association is fighting to expose this practice. And lastly, a shocking photographic report of Jyske Bank’s not-so-exquisite treatment of an evicted property owner, his belongings and the property itself, following a bizarre dispute lasting 18 years. The Gibraltar-based bank managed to regain possession of an offshore-company-owned property although not ownership, that was retained by the ultimate owner (our client), as confirmed by a number of quirky court rulings that nevertheless allowed Jyske to put their hands on this property with one sole purpose: destroy as much as they could! Having met with dozens of victims of the Equity Release fraudulent scheme, we asked some of them if they would be happy to be interviewed; the result was very positive, with some willing to be interviewed every week, if need be! Julia Hilling (88) and Peter Cosgrove (78), two Rothschild + Hamilton’s victims, have no more money to pay to the bank and have not been yet forced out of their homes. Listen to their stories here. Clients Appreciate our Nordic Values. They differentiate us from our competitors. Anne-Lise Zahl Sørensen, NORDEA BANK. This supremacist statement embedded in Nordea’s INTERNATIONAL PRIVATE BANKING in LUXEMBOURG prospectus is not only an insult to Nordic people, but also probably the last straw for many close to losing everything (everything as in the Oxford English Dictionary), to the bank in question. Not even the Nigerian scam has wreaked so much havoc on one single individual as has the Nordic “in-house specialist and experienced portfolio managers”.